I heard about the diner through another restaurant in the neighborhood but hadn't had a chance to drop in. Last Saturday I made my first visit to The Diner and I returned on Sunday for an encore brunch. One of my out-of-town real estate clients suggested that we meet for brunch at this "fabulous diner" that he found on Gateway near I-95. I pulled in the parking lot exactly on time to be greeted by an almost full lot and my friend motioning to me. There was a small, full, waiting area and we were advised that there would be a short wait and after about ten minutes we were seated. During that time, I learned that my friend had eaten there the day before and was amazed at the quality of the food, the size of the portions, and the reasonable prices. The frittata was delicious, evenly cooked, packed with flavor, and enormous! The prices were reasonable, the food well cooked, and the service was delightful, baby! I packed half of my meal to take home and thought to myself, "I'll be baaack! "The next day was not soon enough. 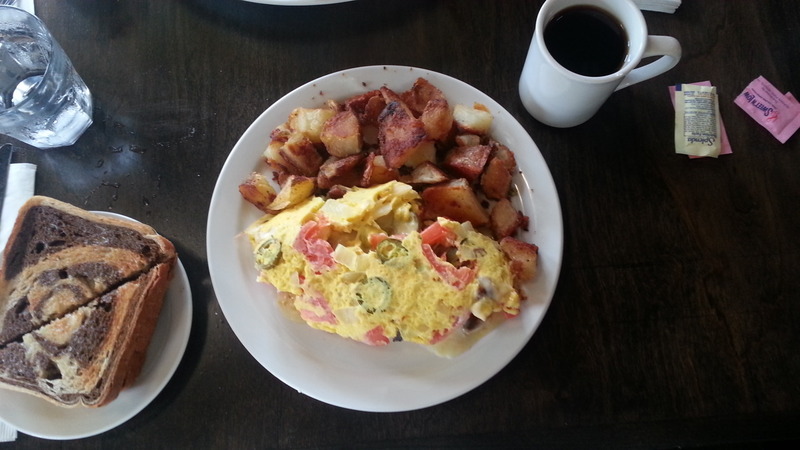 I returned with Michelle and tried the Omelette Ole' with home fries, marble rye, and coffee. 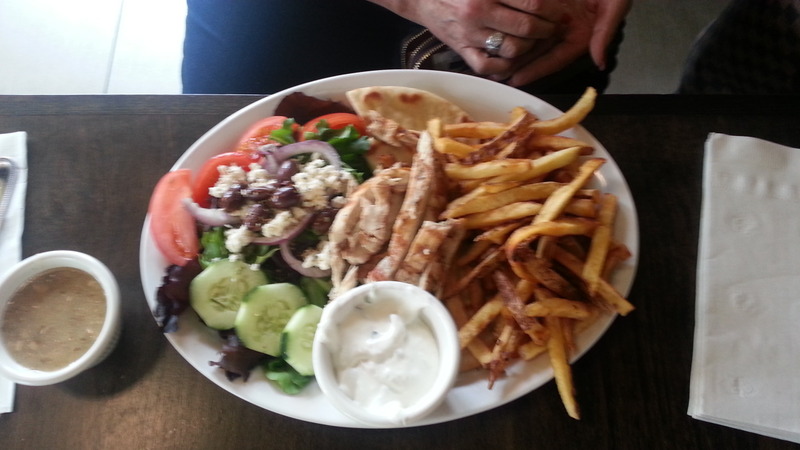 Michelle had the grilled chicken platter and we both thoroughly enjoyed our meals and the left overs we took home. The service was great, thanks to our server JJ, and we had an opportunity to meet Mike, the "hands-on" owner. This is another place that I highly recommend and I think you will have a wonderful dining experience here!